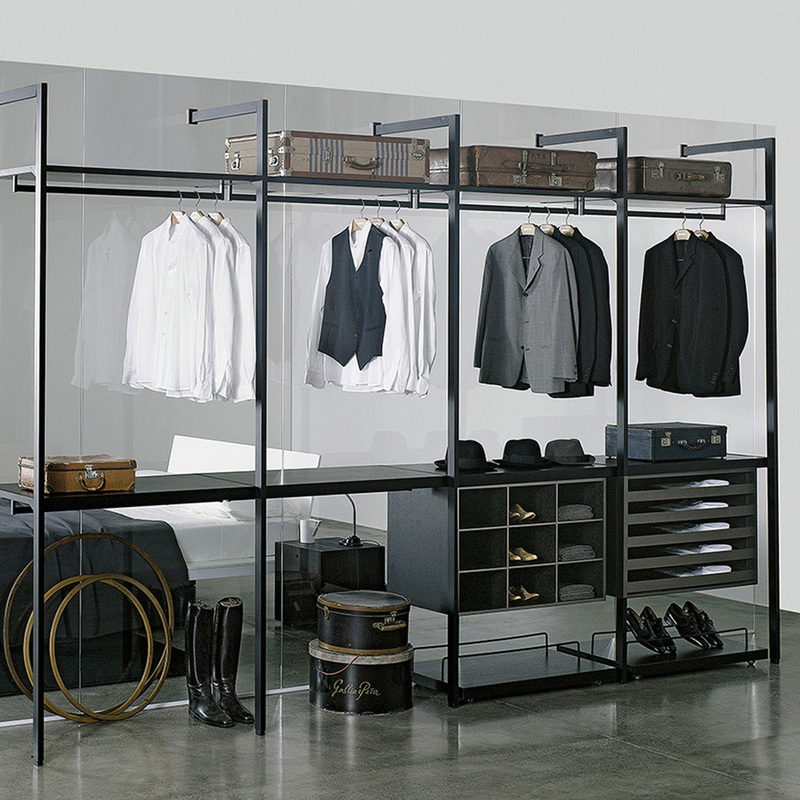 Cabina Armadio is a complete program designed to be functional and practical. It is able to hold and show different items by changing from cupboard to walk-in closet. It can efface itself in small rooms and in the meantime it can to determine large rooms by creating original living sets. white or black varnished, hemlock “cenere” or mongoi drafts.